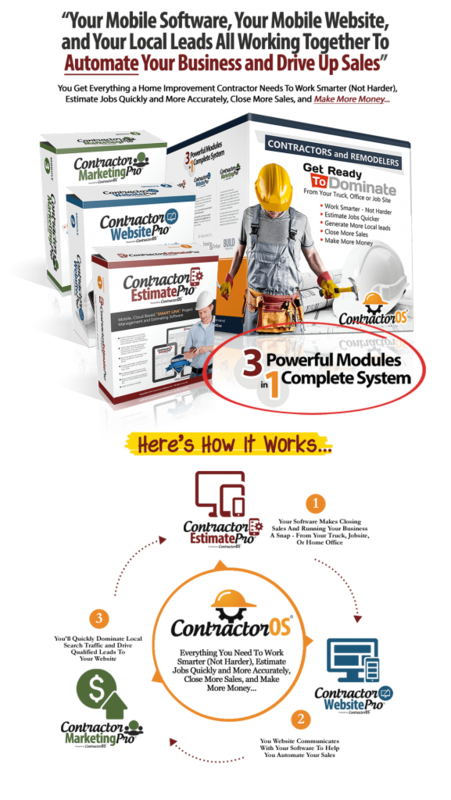 Is there anything you’d like to say to those Contractors who might think they WON’T benefit from a system like ContractorOS or they already have a website and don’t see the value? – I’d like to ask them if they’re completely satisfied with how they’re managing their business and customers right now. – If they’d like to automate more of their business and make more sales. – If they’d like to reduce a lot of the mundane, repetitive tasks and paperwork every day so they can spend more time with their family and not let their business run them, but instead run their business on their terms. – If they’re completely confident that their website is not only the best first impression they could offer their customers but it’s also working HARD for them as an aggressive sales person pulling in leads and sales automatically even while they’re focused on other tasks during the day. – If they ever cringe when they think about someone visiting their website hoping they don’t judge a book by its cover – I’ve been there and that’s not a good feeling! – And finally… If they want more customer referrals which equals MORE MONEY in their pocket because they’re continually impressing the hell out of every customer they do business with and the referrals just start piling in. That’s what ContractorOS can do for a contracting business – and what it can do for their business!